Our Precast Reinforced Cement Concrete Boundary Wall encompasses many features within itself, as it defines the plot limit and gives security and privacy to the villas, offices, factories, farms etc. 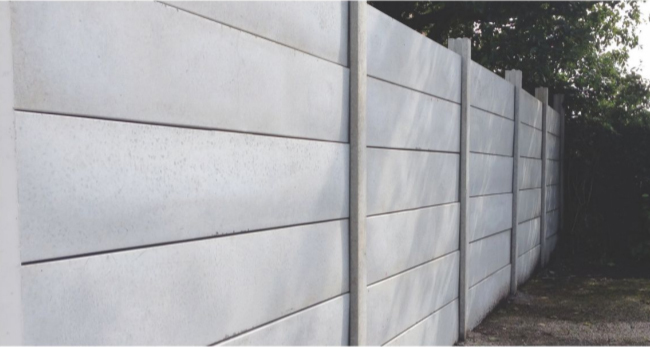 Decorative features such as logos, screens and other contemporary designs can be built into these readymade Boundary Walls to suit the needs and taste required for individual projects. These Precast Compound Walls also provide absolutely no maintenance costs as most of our Precast surfaces require only a wash with water to retain their attractiveness. Surabh has formed a new process to ensure quality texture on both sides of these Precast Boundary Walls. 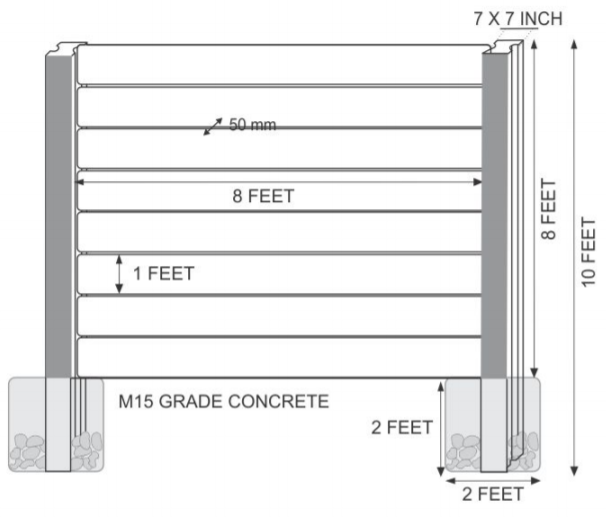 These Wall Panels and Columns have a lifetime of durability and stability; These Walls consists of Precast Panels, Columns and also Precast Foundation Blocks which are designed by our experienced structural engineers and cast in our state of the art facility, cured thoroughly and then installed at site. 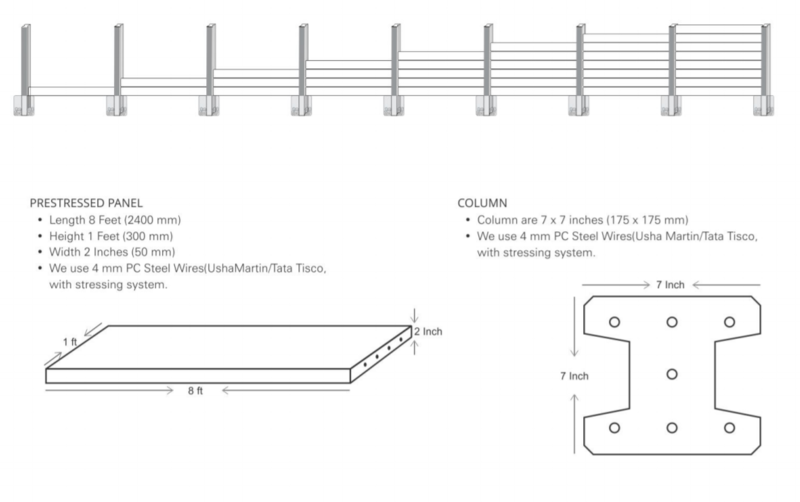 These types of Boundary Walls require no manual labour for installation except to maintain alignment and levels due to which these are installed within a negligible time span as compared to the conventional brick walls.